AS the furore around Zimbabwe’s viciously-fought election continues, police have revealed the army might still be called upon to provide logistical support for the month-end polls. 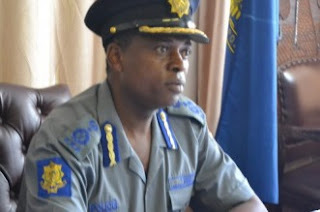 Police’s elections committee commander Assistant Commissioner Erasmus Makodza told journalists yesterday that the army would only provide transport in exceptional circumstances. “The transportation of ballot materials is the responsibility of Zec [Zimbabwe Electoral Commission]. Our role is to provide security and ensure that we maintain law and order. When ballot material is being transported from point A to B, there is nothing that stops Zec from requesting police to provide security,” Makodza said. Makodza said police remained disturbed by rampant tearing down of candidates’ campaign posters, intimidation as well as the emergency of “no-go areas”. “We have also received reports of rival supporters forcing each other to remove regalia or even going to the point of forcing them to wear their chosen regalia against their consent. We have minimal cases of intra- and inter-party political violence. What is interesting is that there are more cases of intra-party than inter-party violence. These are, however, manageable because we have managed to arrest 95% of the perpetrators,” he said. She also ruled out politics in the death of a three-year-old minor from Mazowe last month, saying investigations so far indicated that the crime was not politically-related, although the deceased’s father is a parliamentary candidate for the Joice Mujuru-led People’s Rainbow Coalition.